Slide: Presentation is created on slides. It lies in the centre of the PowerPoint window. 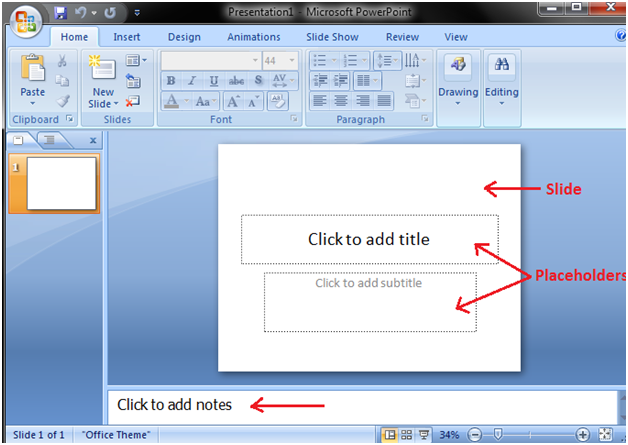 Placeholder: By default two placeholders appear in the slide when you open the PowerPoint. Click to add notes: This space is provided to create notes if needed.